View from below a London Plane tree in the pleasure grounds across Croome Park to Croome D'Abitot church seen here on rising ground in the background. 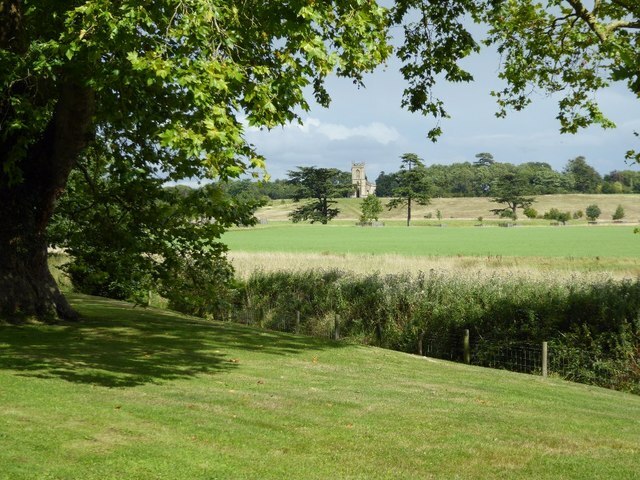 When 'Capability' Brown landscaped Croome Park in the mid 18th century he had the old medieval church by the house demolished and designed the present church. The interior is by Robert Adam. The National Trust have spent the last twenty years restoring this Brown landscape and on a summer's day like today it really looks splendid.